Rubbing to edges and corners bumped. Dent to back cover. Taken from the original omnibus CHRISTMAS AT FAIRACRE, Miss Read's wonderfully festive collection of Christmas stories is packed with entertaining characters and enchanting stories. 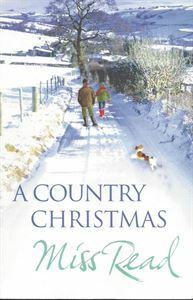 From the rural festivities in 'Village Christmas' and 'Jingle Bells' to the pre-war story 'Christmas At Caxley 1913', the intriguing 'The Fairacre Ghost' and the poignant tale of 'The White Robin', Miss Read's wry wit and light touch is the perfect antidote to the long winter evenings.